List of Japan Tour Package from UK by “Japan Links Travel”. Find here cheap holiday packages to Japan from UK by different tour operators. (Tokyo + Hakone + Okinawa) 15 days tour Let’s talk / Make an online enquiry Hayes & Jarvis Travels Limited. 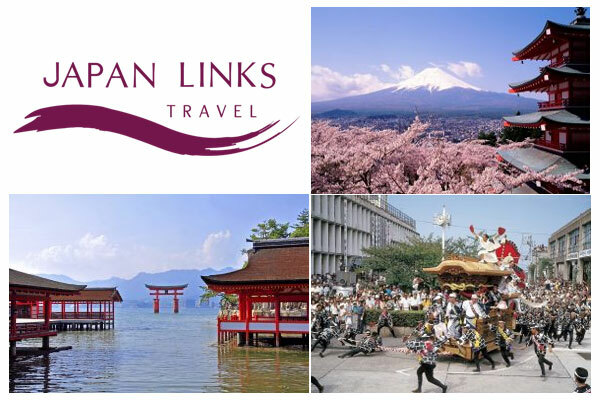 (Tokyo 3 Nights + Hakone 1 Night + Takayama 1 Night + Kanazawa 2 Nights + Kyoto 3 Nights + Osaka 1 Night) 12 days tour £3,989 per person Hayes & Jarvis Travels Limited. (Tokyo + Kyoto) 10 days tour Let’s talk / Make an online enquiry Hayes & Jarvis Travels Limited. (Tokyo 3 Nights + Hakone 1 Night + Takayama 1 Night + Kanazawa 1 Night + Kyoto 3 Nights + Hiroshima 2 Nights + Osaka 1 Night) 13 days tour £3,699 per person Hayes & Jarvis Travels Limited. Page updated : 26 April, 2018.